CORONA, CA -- CIRCOR Aerospace Inc., a CIRCOR International company (NYSE:CIR), has selected Don Stinnett as Director of Materials for CIRCOR Aerospace, Inc. Southern California. In this new role, he will report directly to Andrew Brandenburg, GM for the Southern California campus. Don will be a hands-on materials leader and responsible for planning and controlling all necessary efforts to maintain focus upon reducing material cost and inventory, improving on-time delivery and implementing a more sophisticated materials system. Don comes to CIRCOR Aerospace with 15 years of materials management experience combined with general management expertise for the better part of a decade. His most recent post was at Saint-Gobain Performance Plastics Corporation, a subsidiary of Compagnie de Saint-Gobain, holding a variety of Materials and GM positions at diverse business units, including polymer products, microelectronics, and machine/molded components. 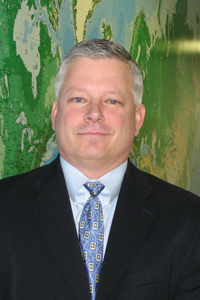 He is a lean / six sigma champion and has implemented many operational improvement programs. Don holds a Masters of Business Administration degree and a Bachelors of Science Business Administration degree, both from the University of La Verne, California.